It’s seed-starting season again. Tomorrow I’ll start eggplant, peppers, and cipollini onions. On the 15th, I’ll start tomatoes and basil. We grow just about any food item we can at our climate… within reason. Bell peppers won’t grow enough to save me money, and watermelons grown within a high desert region aren’t worth my time. This leads perfectly into a blog post about accuracy of crops and foods within stories. When I read the Dragonlance Chronicles in my early 20s, I found myself distracted that Otik served spiced fried potatoes in a society that mimics medieval Europe. But then, a series based on a Dungeons and Dragons campaign can use all the artistic license it wants, for whatever it wants. If a work is even moderately historically based, though, what crops would your characters have grown? I’ll go deeper into each of these in later blogs, but here’s a general outline. All pictures have been borrowed from Wikipedia. Nightshades (tomatoes, peppers, eggplant, potatoes): Nightshades existed in ancient and medieval Europe, though most people avoided them because of the danger of belladonna, or deadly nightshade. 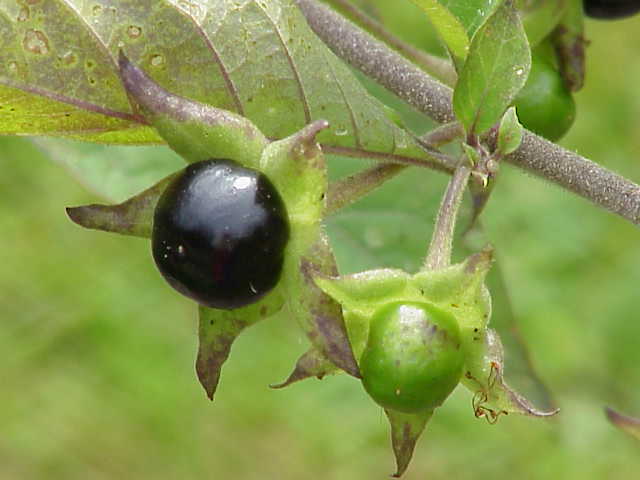 Belladonna served as an excellent painkiller, up to the point of death. The first cultivation of nightshades appeared in the terraced hillsides of Andean South America, and came to the Old World during European exploration. Potatoes became a staple crop in Northern Europe in the 18th century. Tomatoes arrived in Europe between 1548 and 1590, but were primarily ornamental. It was still considered unfit for eating, and wasn’t widely used in British cuisine until the mid-18th century. Eggplant (aubergine) originated in the Indian subcontinent but isn’t recorded in England until the 16th century. Again, it was long thought to be poisonous. Capsicum peppers were cultivated in America for thousands of years and came to Europe with Spanish conquistadores. 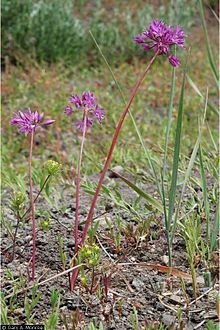 Alliums (onions, shallots, garlic, leeks, chives): Traces of onion remnants have been found in Bronze Age settlements, and the Book of Numbers in the Old Testament suggests cultivation of leeks, onions, and garlic took place in ancient Egypt. Ancient Greeks believed onions lightened the balance of blood. Medieval farmers used them to pay rent and as gifts. Christopher Columbus introduced cultivated onions to America, but found that Native Americans already used wild onions as food, medicine, or dyes. Natives in northern California still harvest a variety of wild onion from high elevations. Curcubits (squash, melons, cucumbers, pumpkins): Squash first appeared on the Andean terraces. (Though people try to claim otherwise, a pumpkin is just another shape of squash.) In the New World, agrarian Native Americans planted a “Three Sisters” or “Iroquois” system where beans climbed up corn, with squash surrounding the roots as mulch. 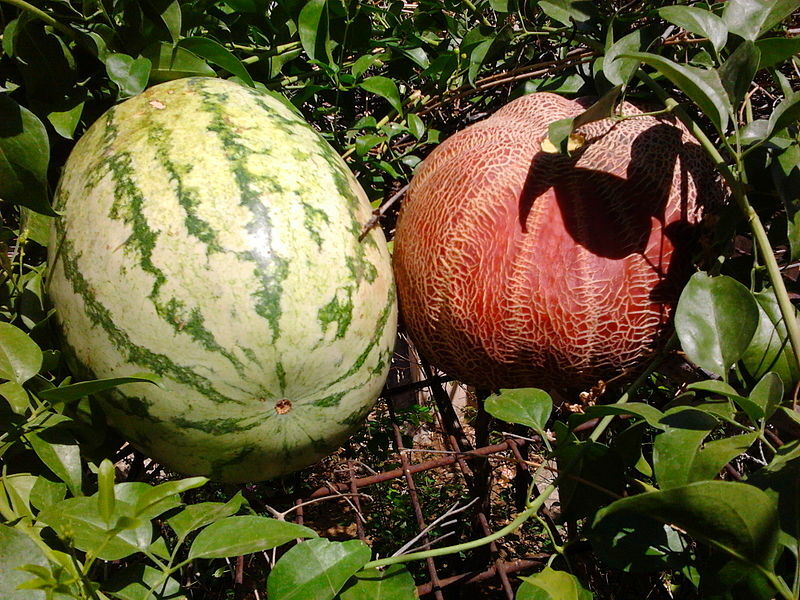 Numbers 11:5 of the Old Testament suggests cucumbers and melons grew in ancient Egypt, and early American settlers grew honeydew and casaba as early as the 1600s. Root crops (carrots, beets, turnips, parsnips): Ancestors of the carrot are likely to have come from Iran and Afghanistan, though the first mention of the root in classical sources is in the 1st century. The modern carrot appears to have been introduced to Europe in the 8-10th centuries, with mention of it in Arab agriculture in the 12th century. 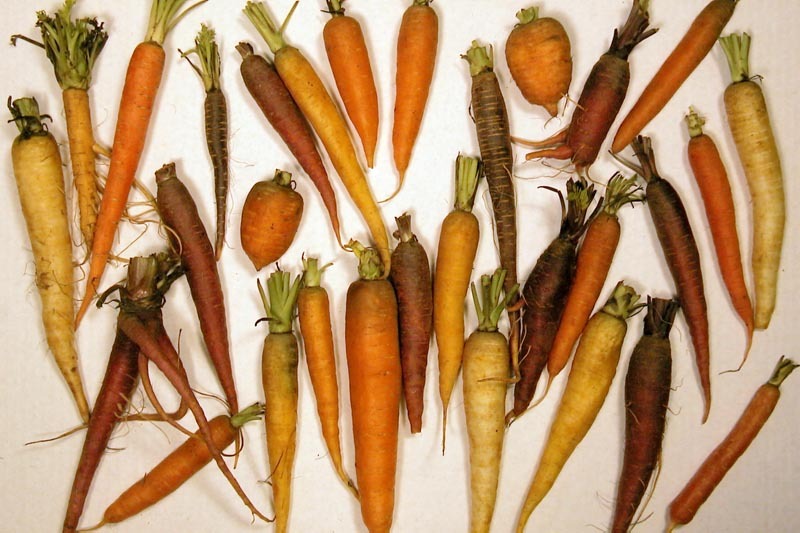 Eastern carrots (Iran) are yellow or purple, and western carrots (emerging in the Netherlands) are orange. Parsnips are native to Eurasia and have been mentioned in Greek and Roman literature. Beets spread from the Mediterranean to Babylonia by the 8th century BC and as far east as China by 850 AD. Romans considered beets an important health food and aphrodisiac, and it became commercially important with the development of the sugar beat in 19th century Europe. Pulses (peas, beans, lentils, vetches): Cultivated since ancient Egyptian and Indus times, pulses are mentioned in the Old Testament when Shadrach, Meshach, Abednego, and Daniel chose to eat vegetables and pulses rather than the king’s rich food. In medieval times, farmers recognized the value of crop rotation as pulses fixed nitrogen in the soil for future harvests, and they also grew these as fodder crops for animals. 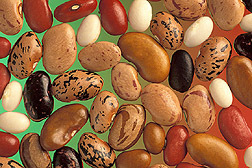 Beans in the Americas date back as far as the second millennium BC in Peru, and came north along the Atlantic seaboard in pre-Columbian times. Brassicas (cabbage, cauliflower, broccoli, turnips): Originally cultivated in India for their oil-bearing seeds, turnips became a well-established crop in Hellenistic and Roman times. 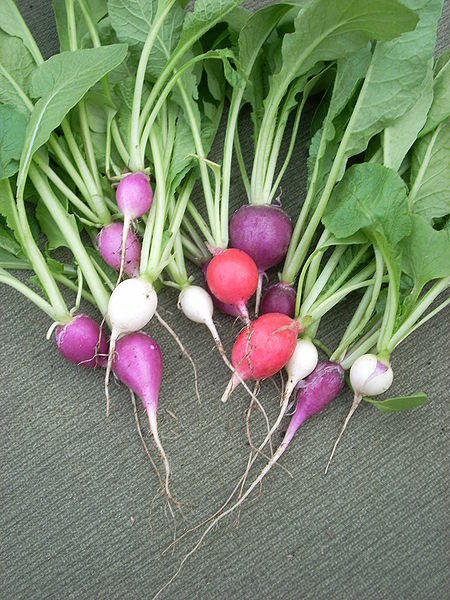 Domestication of mustards and radishes took place over west Asia and Europe. Nordic countries used turnip as a staple crop before its replacement with the potato. It is difficult to trace the exact history of cabbage, but it was domesticated in Europe before 1000 BC and became a prominent part of medieval European cuisine. Broccoli derived from leafy cole crops in the Northern Mediterranean about 6th century BC. 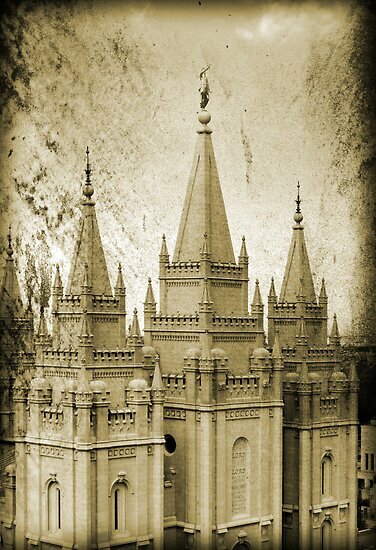 It arrived in England in the mid-18th century. Cauliflower arrived in France from Genoa in the 16th century. Lettuce and spinach: Ancient Egyptians first cultivated lettuce from a weed. It spread to the Greeks and Romans. Medieval cultivars used it primarily as a medicinal herb. Many varieties developed in Europe between the 16th and 18th century. 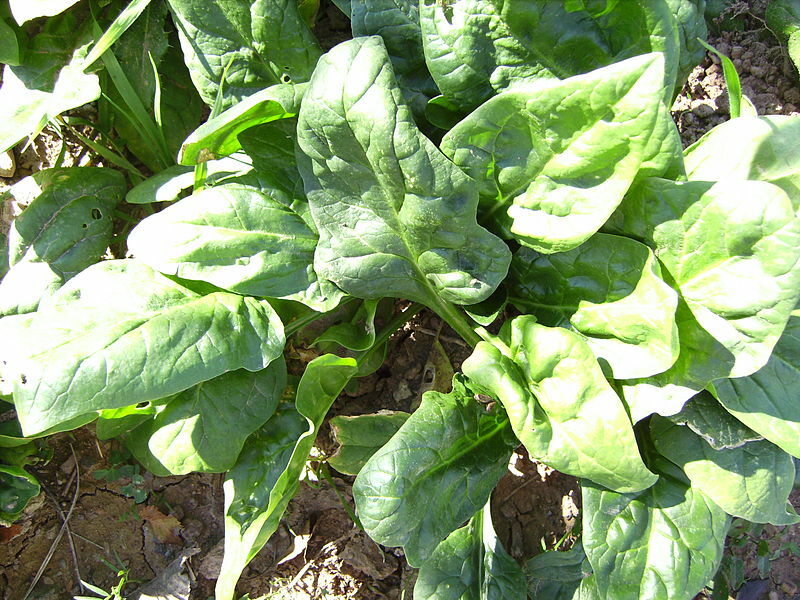 Spinach originated in ancient Persia, then Arab traders carried it into India and ancient China. In AD 827, the Saracens introduced it to Sicily, where it spread as far up as Germany by the 13th century. 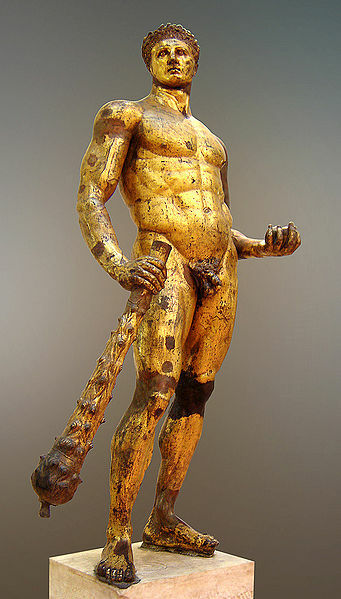 It appeared in England and France in the 14th century. Grains and seeds: Neolithic founder crops include barley, flax, and emmer/einkorn wheat. Egypt and the Indian subcontinent farmed wheat and barley as early as 7000 BC. In the Far East, rice served as the primary crop. Corn began more than 6000 years ago as Mesoamerican wild teosinte then spread to North America by the time of European exploration. Sunflowers began with Native Americans in the Eastern United States. 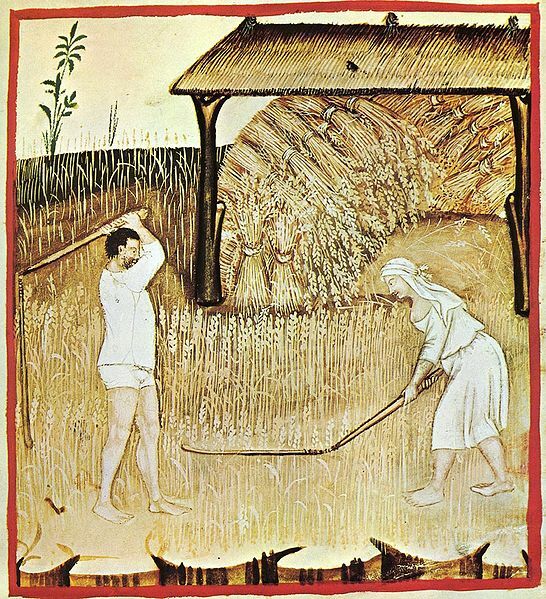 Medieval Europeans grew wheat, rye, barley, and oats. Teff grew as a staple grain in ancient Ethiopia. Wild rice originated in North America. Amaranth was a staple crop of the Aztec Empire, and quinoa originated in the Andes. Coffee: Though coffee grew in ancient Ethiopia, the first credible evidence of coffee drinking appears in the mid-15th century in Yemen. It spread to Italy after 1583, and the first European coffee house opened in Italy in 1645. It became popular in England, France, and Austria within 15 years of that. Frenchmen brought it to Martinique in the Caribbean, from which arabica coffee descended. Introduced to Brazil in 1727, it gained momentum after 1822 and took up cultivation within Central America in the latter half of the 19th century. 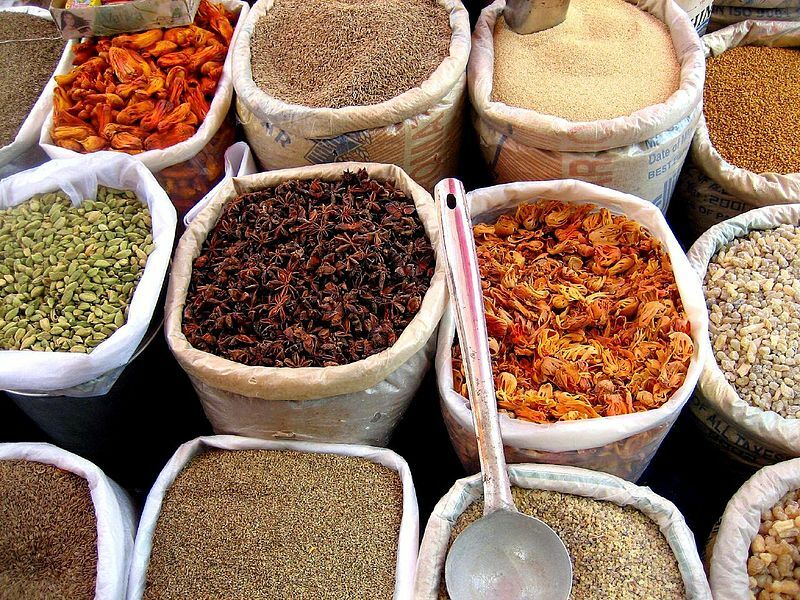 Spices: The spice trade developed through South Asia and the Middle East around 2000 BC with cinnamon and pepper. The Egyptians used herbs for embalming, and by 1000 BC medicinal systems based on herbs could be found in China, Korea, and India. Spices are mentioned in the Old Testament, in Genesis and Song of Solomon. 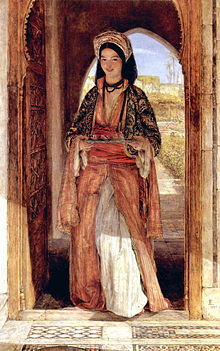 Nutmeg entered Europe in the 6th century BC. By medieval Europe, costly spices included black pepper, cinnamon, cumin, nutmeg, ginger, and cloves, with medicine’s main theory that it balanced “humors” in food. Medieval spices that have fallen into obscurity in European cuisine include grains of paradise, long pepper, mace, spikenard, galangal, and cubeb. The Republic of Venice controlled spice trade with the Middle East from the 8th to the 15th centuries. Portuguese navigator Vasco da Gama sailed to India in 1499 seeking control of trade routes. About the same time, Christopher Columbus returned from the new world describing new spices available there such as allspice, bell and chili peppers, vanilla, and chocolate. This entry was posted in Uncategorized and tagged gardening, history of crops, history of gardening on March 2, 2013 by Marissa Ames.